Laurier’s North American Studies program is the first of its kind in Ontario. 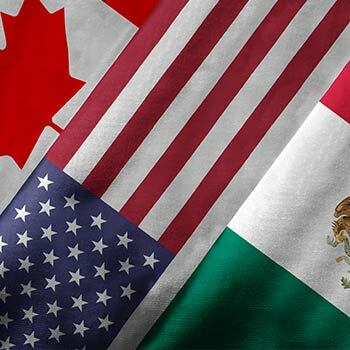 It’s an interdisciplinary program, exploring the extent to which we can consider North America – including Canada, the United States and Mexico – as a distinct historical, cultural, political and economic entity. This is a flexible degree that you take in combination with another Arts program. Innovative first-year courses combine the best of online and in-class active learning. The program offers both Canadian Studies and North American Studies minors. There are opportunities for you to go on exchange with our international university partners in the United States and Mexico.